On Saturday, January 30, 2016, knitters and crocheters responded to our invitation to bring to the Library a finished or almost-finished handmade scarf (wool or a wool blend, preferably) in Valentine’s colours. 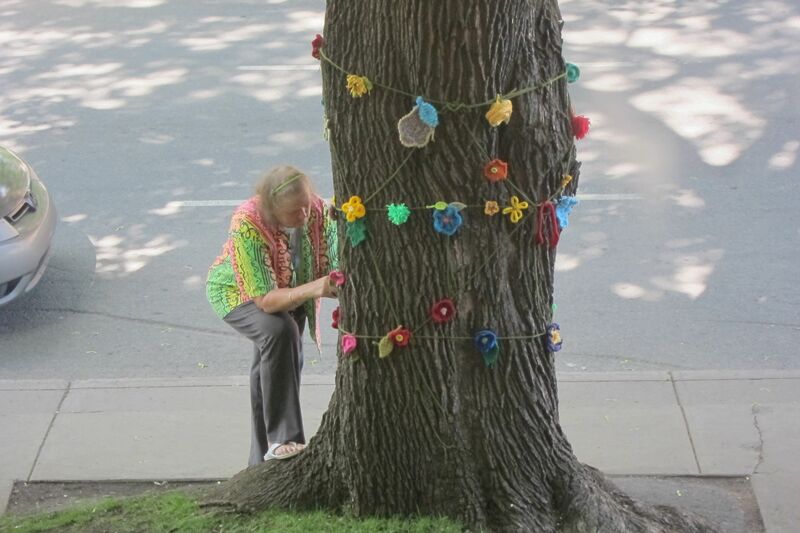 Expert knitter Arlene Lund was on hand to show finishing touches, e.g. how to make pom-poms, tassels, fringes, etc. Participants wrote lovely messages on gift tags that were provided. 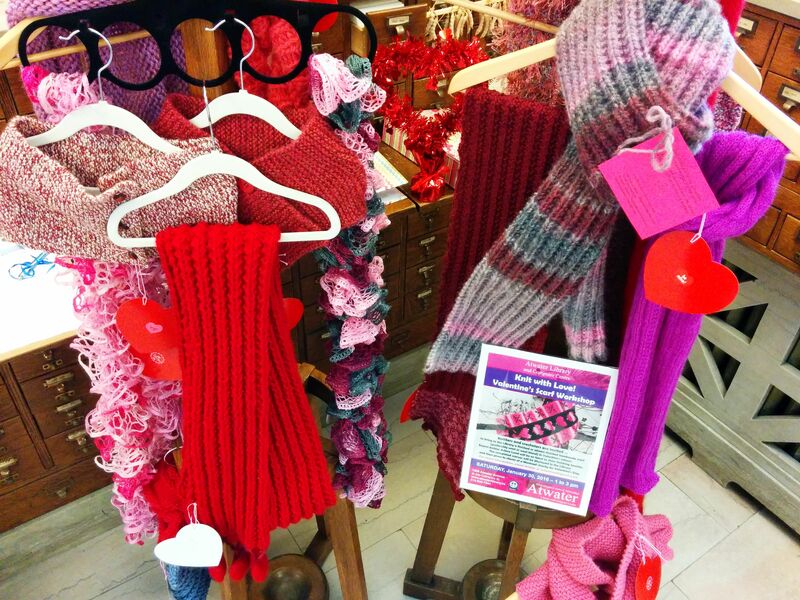 The completed scarves were on display in the Library’s atrium until Thursday, February 11 and then were given to clients of Chez Doris, a Montreal charity, for Valentine’s Day. 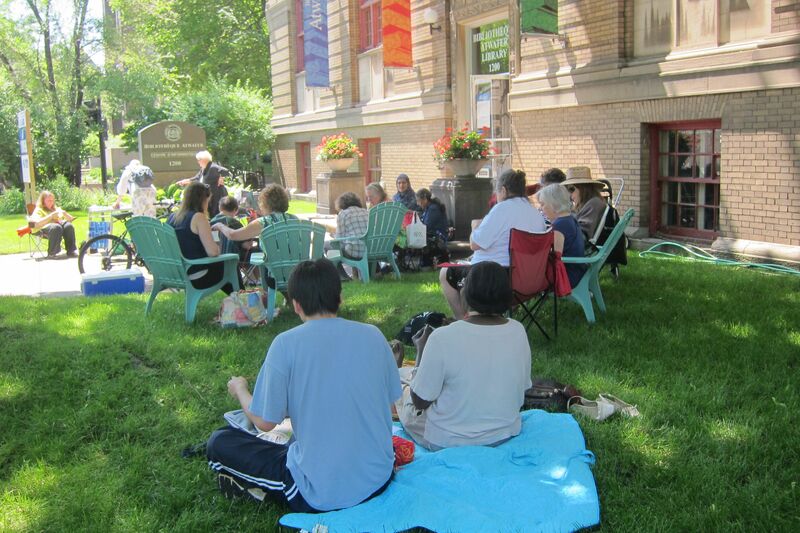 On Saturday, June 13, 2015 which was World Wide Knit in Public Day, over 30 knitters and crocheters gathered on the grounds of the Library and made attractive and fun decorations for the big tree on the edge of our Atwater Avenue lawn. 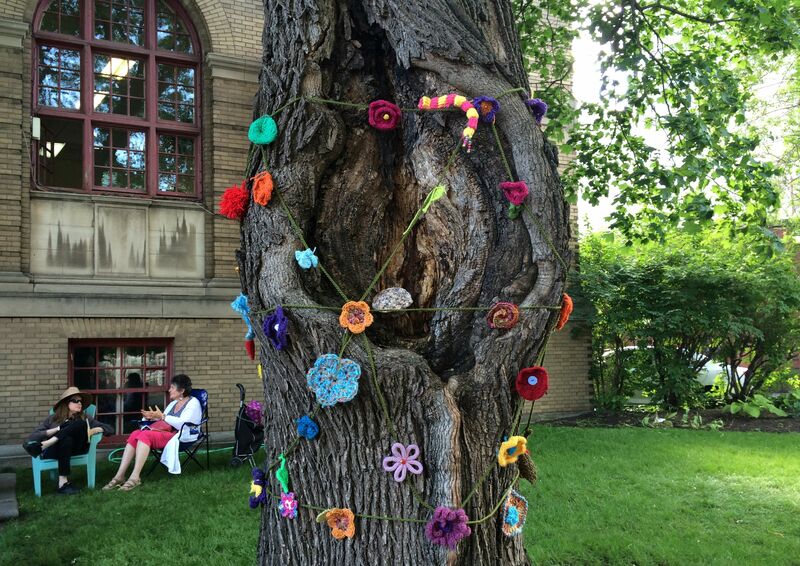 For the following month or so, passersby admired the hand-made yarn flowers and leaves that were fastened to a yarn vine around the large tree trunk. There was even a colourful caterpillar made of yarn and beads!